Worthington Cycles webspace project - designed to keep you up to date on all new goings on with Worthington Cycles. 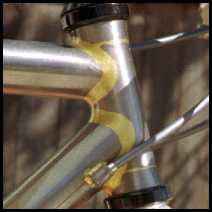 Look to us to help build high end custom bicycles. Whether you need parts, service, or a complete custom build contact us! Buy a bike trailer instead!